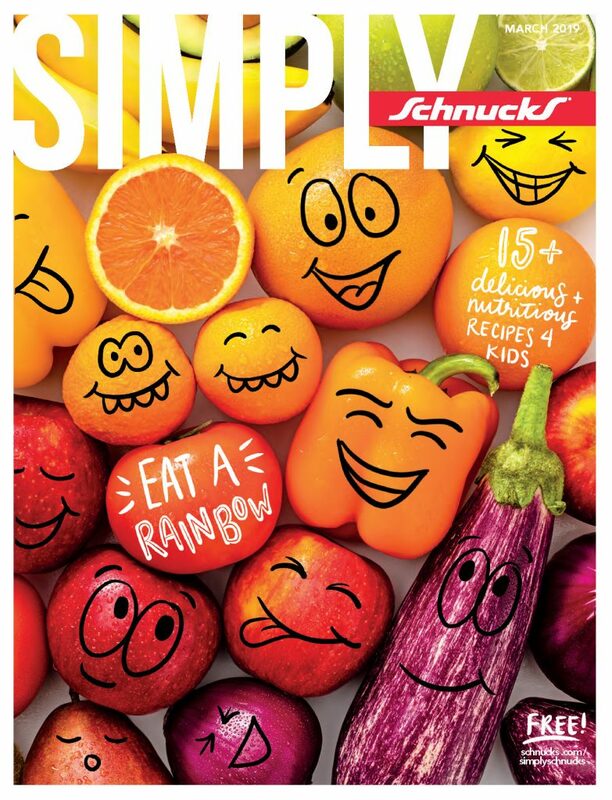 Welcome to Simply Schnucks Magazine! Each month, you’ll find delicious recipes, cooking tips, cocktails and more. Check out our Schnucks Featured Expert – you might just recognize them from your Schnucks! Look for a new issue every month – check it out here or pick up a FREE copy in-store. 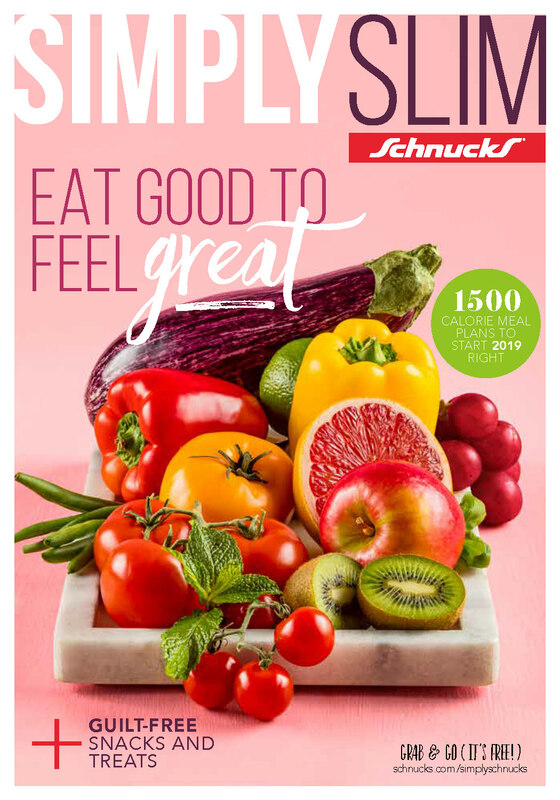 Click on the cover photo to browse past issues of Simply Schnucks. Brighter days call for brighter drinks. Simply add your choice of ingredients to make a simple yet delicious gin & tonic. Schnucks olive oil, caramelized onions, green apple, goat cheese, Schnucks honey and chopped chives. Basil pesto, Schnucks ricotta cheese, fresh asparagus, Schnucks frozen peas, Arugula and sliced green onion. Sun-dried tomato pesto, mozzarella cheese, red bell pepper, green olives, feta cheese and chopped oregano. Schnucks pizza sauce, fresh mozzarella, cherry tomatoes and fresh basil. A fresh take on salad. You can’t get any fresher than farm fresh. 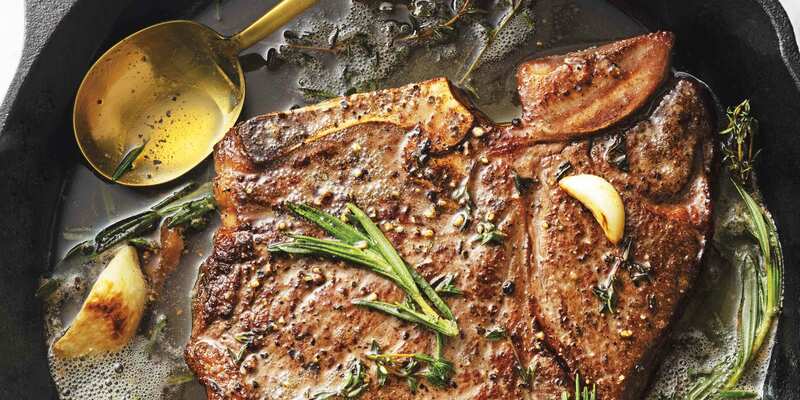 Schnucks has everything you need to make a romantic steak dinner for two – stop by our meat counter for top quality selection. Our Certified Angus Beef meets 10 exacting standards for mouthwatering flavor, tenderness and juiciness. Schnucks in-store butchers are always ready to cut your steak to order and answer any questions you may have!